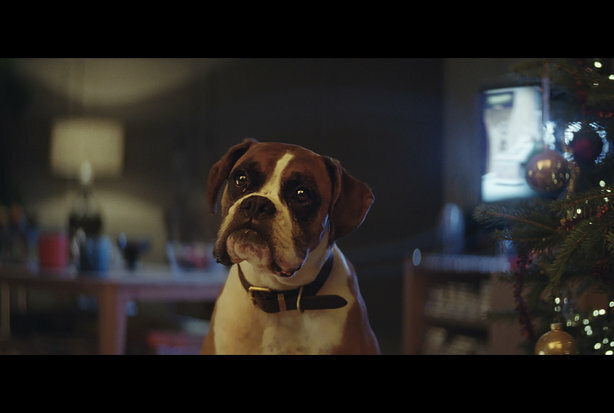 John Lewis has launched its hotly anticipated 2016 Christmas campaign; an upbeat antidote to a year of political turmoil and social upheaval - complete with festive magic, a trampoline and a dog who likes to bounce. Staying true to the retailer’s brand values of thoughtful giving, the new £7m, integrated campaign has at its heart a two-minute film that tells the story of a little girl called Bridget who loves to jump. Her parents buy her a trampoline for Christmas and hide it in the garden, but during the night, foxes, a badger, a squirrel and a hedgehog have fun bouncing, as the disgruntled family dog, Buster the Boxer, looks on. And when Christmas morning dawns, it is Buster who beats Bridget to the end of the garden to play with her new toy. The film was released at 8am today on John Lewis’ social channels, including Facebook, YouTube, Instagram and Twitter, as well as, for the first time, Snapchat. John Lewis has partnered with Snapchat to create a bespoke filter that will transform users into the film’s star, Buster, and people can also use special Twitter stickers to personalise their pictures with Buster and the other wildlife stars of the film. The store has chosen the hashtag #BusterTheBoxer to promote the campaign on Twitter. There is also a partnership with Sky, which is making the film available as an on-demand feature online and on Sky Go, alongside a 'making of' video and additional content. The film will be broadcasted on TV for the first time later today at around 9.15pm during the ITV show Paranoid, and again during the X-Factor on Saturday. 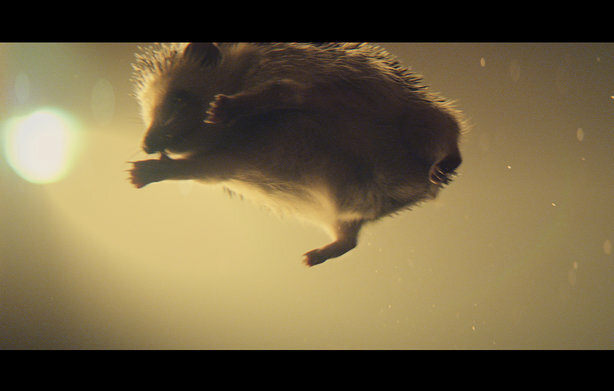 Creative agency adam&eveDDB, which created last year’s Man on The Moon and 2014’s Monty the Penguin for John Lewis, is once again behind this year’s effort, which is set to a cover of the Randy Crawford song ‘One Day I’ll Fly Away’ by British band Vaults. The retailer has made a conscious effort to move away from what some described as the ‘sad-vertising’ and melancholy tone of last year’s Man on The Moon and has instead opted to try and make people smile. Peter Cross, comms director at John Lewis, told PRWeek: "We are very mindful of the national mood after such a year so if it puts a smile on people’s faces, that’s a good thing." The retailer’s own research suggests that half its sales will be made online within two years, which, it believes, calls for a repurposing of its store-front shops. Cross continued: "We are mindful of delivering Christmas in a way that meets the changing needs of the nation and if 50 per cent of stock is being delivered online it is a very different space, so we have to communicate the new role of shops." To extend its Christmas campaign and bring the creative ideas within it to life, John Lewis will today unveil the windows of its flagship Oxford Street branch to reveal a world of woodland animals in their burrows, while inside customers can have a virtual reality experience using Oculus Rift. The flagship store’s rooftop has been transformed into a series of ‘woodland lodges’ complete with individual sound systems, which people can hire out for up to two hours with a butler service to bring them food and hot toddies. Further extensions of the campaign include the opportunity to buy soft toys of Buster and his woodland friends. Commenting on the integration of this year’s campaign, Cross said: "We would hope that our campaigns have always been integrated, but what has changed is the demands and roles of the channels in that integration. There is the role of shops, the role of all the different social channels, which all need individual attention and the partnership with Sky. The intensity of effort you now have to put into making all of the channels powerful in their own right has become greater and greater." Following previous charity tie-ups with Age UK and WWF, this year’s charity partnership is with The Wildlife Trusts. John Lewis has agreed to donate 10 per cent of the purchase price of the soft toys, priced at £15 and £12, and has also worked with the charity to develop educational tools to encourage children to take interest in British wildlife. As with previous years, there has been fevered speculation over the John Lewis campaign, after the retailer released two short teasers of Buster using the hashtag #BounceBounce. An A-level student sent the media into frenzy when he released an unofficial John Lewis film earlier this week, entitled The Snowglobe, which garnered 450,000 views in a few short hours and was covered by several national newspapers. Cross concluded: "We anticipate there will be interest in the film but of all the things we PR in the year, this is the one we do with the least fanfare. We just want customers to judge it."